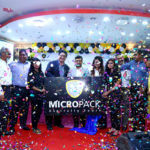 EXCEL, A Revolutionary Speaker Brand introduced by Excel Technologies Ltd. - Excel Technologies Ltd.
HomeTechnologyEXCEL, A Revolutionary Speaker Brand introduced by Excel Technologies Ltd.
Excel Technologies Ltd. has unveiled the next generation of speaker as it ramps up efforts to be at the centre of people’s homes. 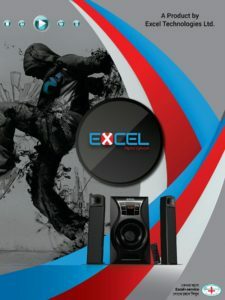 The technology giant launched their own speaker brand, EXCEL with improved sound, amazing features. They may look similar to the current speakers available in the market but has upgraded hardware, higher bass, noise reduction and so many features make them incomparable. The all-new speaker brand EXCEL is bringing speakers in different styles, with material, metal and wooden versions. So, get ready, the speaker market pioneered by EXCEL is about to get crowded and it’s going to be fascinating to watch this market unfold, as it probably won’t follow any of the established patterns from other similar speakers available in the market right now. EXCEL has already populated the market with 8 new speaker models; X-F770BT, X-F771BT, X-F971BT, X-F970BT, X-F992BT, NEO-3BT, TMN-7BT, TMN-9BT. They are lucrative in designs, strong body frame for long lifecycle and sound quality, okay that’s for the users to say. Among many features, Bluetooth for wireless music, remote control to adjust your music and movie remotely, USB port for USB drives, SD card, bass and treble control knobs, volume adjust knob, LED lighting, LED display panel and so many more. The remote control gives you control over sound settings, like modes, equalizer, playlist, forward and backward, next, shuffle and overall everything you need. 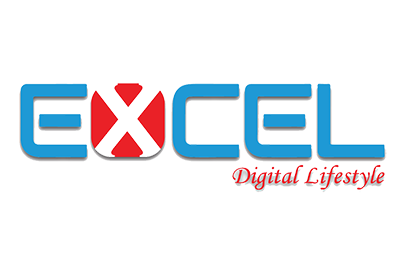 EXCEL is known for its high quality products and brands, like TP-LINK, HIKVISION, Genius, Micropack, Western Digital, Lite-On. But they are renowned for their speaker brand DigitalX and X-Lab as the speakers brought a revolution to the audio industry. EXCEL is betting on a few things to win a highly coveted spot in your apartment. One, its well-acknowledged sound quality: If you want to listen to heavy bass streamed, just know that it’s sharp enough to make you feel like there in the recording studio with your favorite artist. It’s also touting the fact that, the prices are unbelievably lower and within your budget. If you’re thinking about buying a home speaker — one equipped with amazing sound quality, the number of options at the moment can seem intimidating. There are multiple brands bringing in new speakers in the market every day. 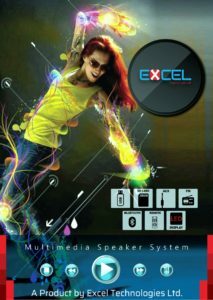 Now, EXCEL is joining the competition with the aim to deliver best sound within affordable prices. Don’t forget to have a look and second thought before making the final decision and stay tuned for word on how EXCEL stacks up against other speaker brands in available in the local market. 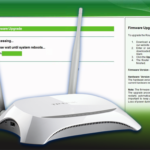 TP-Link Router Firmware Update: Why and How!